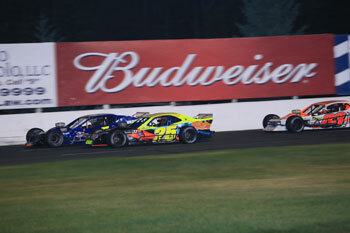 (Stafford Springs, CT)—When the Twisted Tea Open Modified 80 takes the green flag at Stafford Speedway Friday, June 8, one driver who will be looking to make a statement is East Hampton, CT native Anthony Flannery. Flannery, still a relative newcomer to open wheel modified racing, started running modifieds in 2017 after a background in Legend Cars and Late Models. 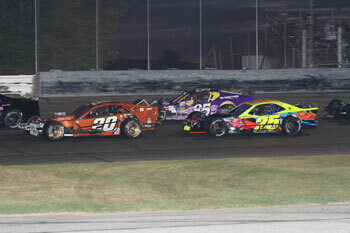 Flannery and the #25 Leonard’s of Stafford Springs team ran into misfortune in the VMRS 80 at Stafford on May 18 and are looking to turn their luck around despite their limited experience. Despite his lack of experience compared to some of the other drivers in the field for the Twisted Tea Open Modified 80, Flannery already has an idea of how he can be among the front runners in the race. In addition to having the right car setup, another factor for the Twisted Tea 80 is tire strategy. Teams are allowed a total of 6 tires for the Twisted Tea Open 80, giving teams the option to change 2 tires during the race instead of having to try to save tires for the end of the race. Flannery is running a team car with Dave Etheridge, a former weekly racer at Stafford and a 10-year veteran of the NASCAR Whelen Modified Tour. Working with Etheridge has helped accelerate Flannery’s learning curve and he knows that when he gets behind the wheel of his #25 car that he has a car that is capable of winning races and it all comes down to him as the driver. 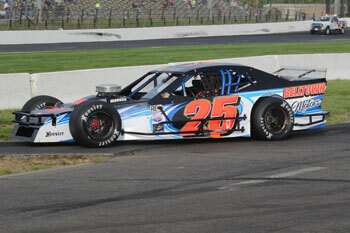 Flannery enjoyed a career best second place finish earlier this season in the MRS race at Waterford and with the confidence of that finish combined with the capabilities of his #25 car, Flannery feels like he could get his first modified win in the Twisted Tea Modified Open 80.